The latest build for patch 8.1 has given us a wealth of new quest information, including lots of voice work. Zekhan gets not only his first in-game appearance but also more voice work by Valence Thomas. We also get more lines from Jaina, Princess Talanji, and other major players in the ongoing war. Even Flynn and Taelia have new things to say! But smack dab in the middle of all the major lore implications and moments of “I can’t believe she just said that,” we get everyone’s least favorite cooking trainer. Nomi is back — and he’s trying to make chili. This post has lots of spoilers for World of Warcraft’s patch 8.1. You’ve been warned. Blizzard has given Nomi a couple of voice lines winking at the fact that he often took our ingredients and produced only blackened lumps of charcoal. But at least this time, it sounds like we’ll be taking care of things while he acts as a judge over the whole proceedings. Which is good, I don’t know if I trust him enough to let him try and make my chili have any more heat. Some Pandaren just want to watch the world burn. 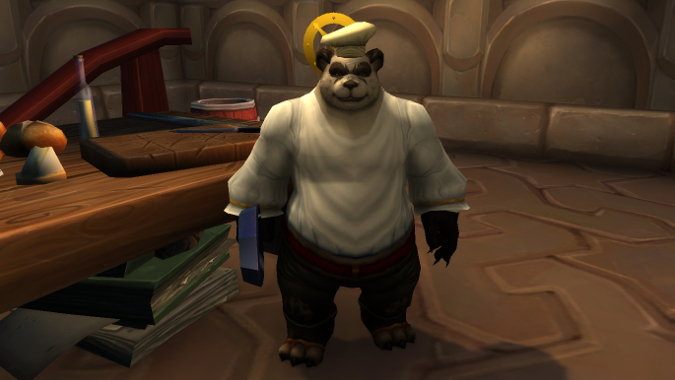 It’s been a few years since Blizzard put a cooking mini-game into one of their properties. 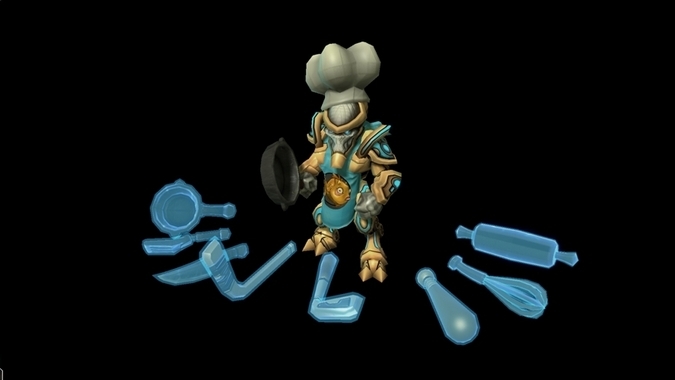 Aiur Chef was added to the StarCraft 2 arcade way back in 2010. There were some good mechanics where you had to control your Chef and go kill monsters to get your ingredients, while also keeping an eye out for other Chef’s who wanted to beat you up and steal your food. Come to think of it, this totally sounds like the general set-up of the current Island Expeditions. Could we be seeing a modified chili cook-off island? Or does this feel like the makings of a PVP brawl, where you need to defend flags while you get points towards various ingredients for the chili? Maybe we’re finally going to get a new event during Pilgrims Bounty. It would be just like Nomi to mess with the traditional Thanksgiving dishes. But Nomi isn’t the only one with newly datamined dialog — WoW’s major players are also getting a whole lot more in patch 8.1. Mages and Goblins and Treasure Golems, oh my! The biggest moments found here involve the Proudmoore family reunion. Jaina has more than five minutes of new voiceover relating to both family drama and her role in the raid. Tandred Proudmoore also has a few lines reminiscing about their father and wondering what he would make of Kul Tiras as it stands now. The end of the Alliance storyline in 8.0 was beautifully handled, and I can’t wait to see the 8.1 content play out in game. Sylvanas further alienates the other members of the Horde by raising Derek Proudmoore — and I can’t wait to see if he’s going to get voiced. It’s sure to be a frosty reunion when he finally gets reunited with Jaina. Gallywix also gets some lines to go along with his battle with High “Stinker” Mekkatorque during the Siege of Zuldazar. 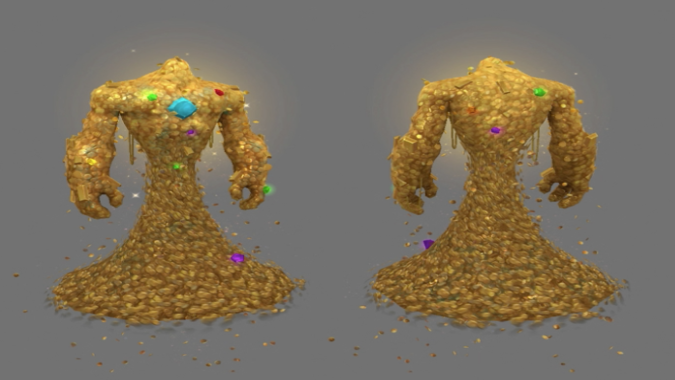 He also introduces us to what sounds like the most ostentatious raid boss ever, the Treasure Golem. Of course, he immediately tries to barter with the Alliance to let him walk off with the Golem. Darin De Paul does masterful work for Blizzard (as always), giving Gallywix the right blend of brash and wheedling that all the best Goblins seem to have. There’s still no voice work from Mekkatorque yet, but I expect we’ll be getting that in a future build.